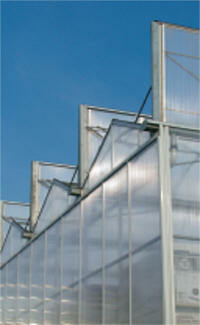 Choose DEC Acrylic Panels for more rapid growth, energy savings, higher yield and excellent quality. 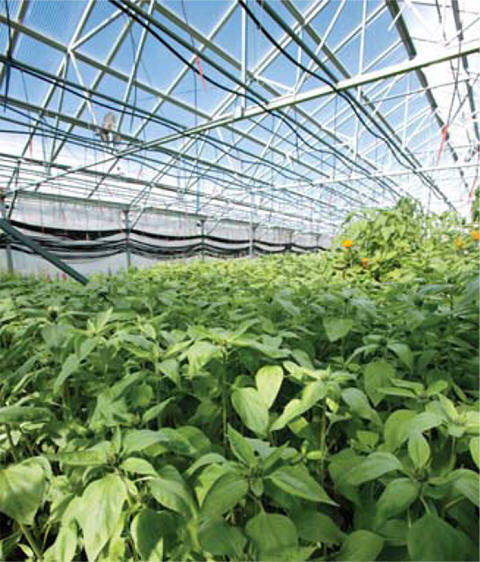 Our acrylic glazing sheets provide your crops with superior yield, shorter time to maturity, and more intense, vibrant color. 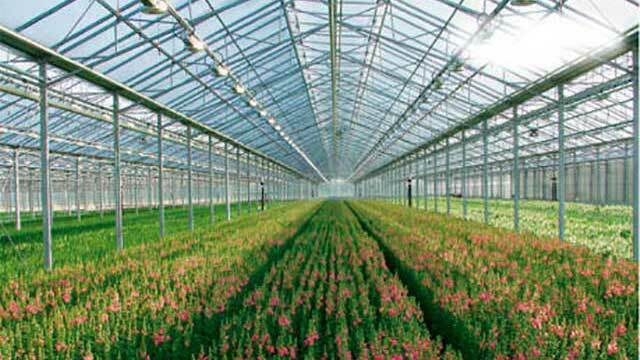 DEC acrylic glazing provides an excellent setting where the grower is in control and doesn’t have to react to changing conditions. With our acrylic products there’s no need to change growing techniques to offset declining light levels due to yellow, deteriorated coverings. Growers can also make the most out of their investment in computerized control systems. DEC acrylic glazing patented NO DRIP™ technology increases light levels during typical condensate conditions and greatly reduces droplet damage to plugs and blooms. 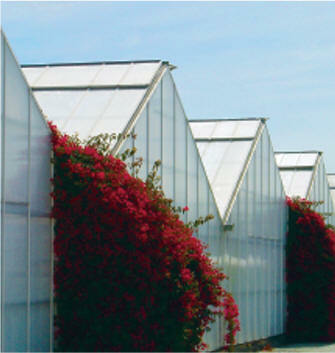 DEC acrylic is the proven performer that has been an integral part of the success of many of the world’s top growers over the past four decades. 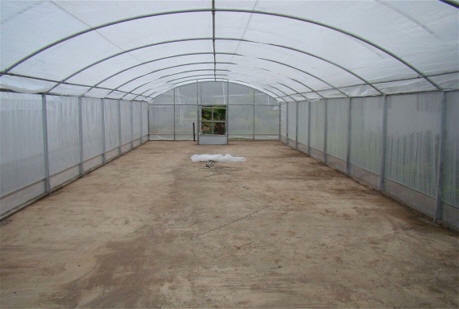 For your next greenhouse project, be sure to ask for DEC acrylic. Freight: Polycarbonate has to be shipped via motor freight. Masking: All polycarbonate products are supplied polymasked on both sides. Blue polymask is on the UV treated side, and this should be installed on the outside of the installation. DEC stays as clear as the day it’s installed —up to 91% PAR transmission. Unlike polycarbonate, UV rays do not break down or discolor DEC.
DEC High Impact Acrylic is strong enough to resist major hail impact. Conserve up to 50% and reduce your energy bills. Excellent quality and crop consistency from season to season. Life expectancy of 25+ years. Long life means less replacement and cost savings over other glazing materials. DEC naturally holds heat in, reduces shadows, heat spots and burning, reducing or eliminating curtains, lights, or heating systems. Patented NO DRIP™ technology increases light levels and greatly reduces damage from droplets. DEC meets or exceeds snow and wind requirements. Full 10 years non-prorated warranty for hails and light transmission. Aluminum Tape: Aluminum Tape can be used by Seals the "Top End" of the sheets. V Porous Tape: V Porous Tape can be used by Seals the "Bottom End" of the sheets. Washers: Washers can be used by Spread the screw pressure and seals the holes against leaks. Polycarb Sealant: Washers can be used by Spread the screw pressure and seals the holes against leaks. Polycarbonate-U Profiles: Polycarbonate-U Profiles can be used by covers the open flutes,6mm to 20mm available. Polycarbonate-H Profiles: Polycarbonate-H Profiles can be used by connects 2 sheets side by side.6mm to 16mm available. 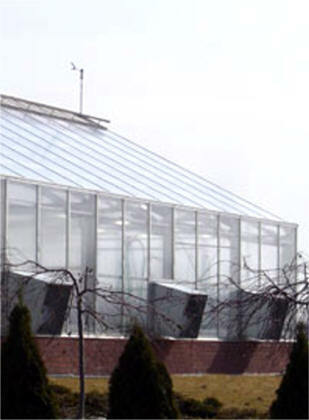 Polycarbonate Ridge Profile - 16mm Only: Polycarbonate Ridge Profile is as a Ridge or Corner. Aluminum U-Profile: Aluminum-U Profiles can be used by covers the open flutes. Aluminum H-Profile: Aluminum H Profiles can be used by connects 2 sheets side by side.